Last week was a busy week for me, photographing 3 newbies. Even though it's been a few months since my last blog post, I hope to share each of last week's baby boys with you. First off, meet sweet little Titus. He is the first of 8 close friends of mine that are having baby boys in the next few months, making our baby girl (due in 6 weeks) the solo girl of the bunch. I always feel honored when friends ask me to photograph their little ones. I was able to witness (and photograph) big brother Luke's birth, but didn't make it to the hospital quite quick enough for Titus. But, since I just so happened to be visiting Houston when he was born, thankfully I was able to do a quick session for them before heading home. What a joy. 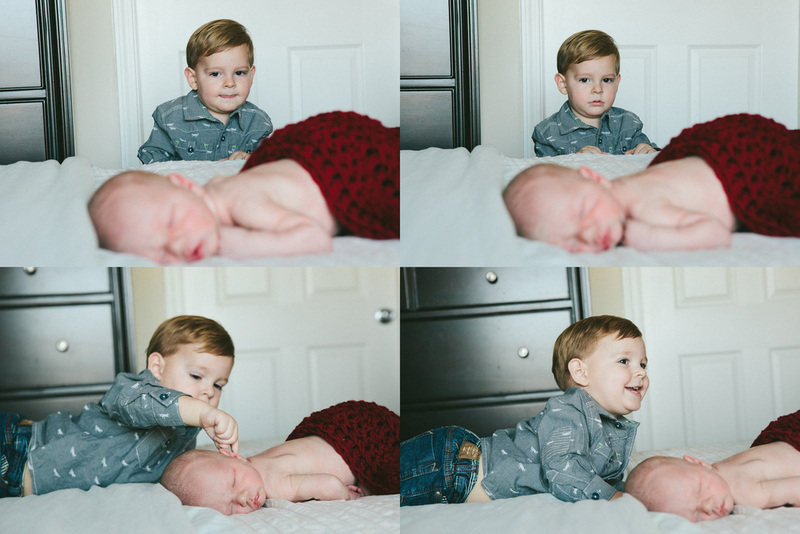 Feel free to take a peek at brother Luke's newborn session here. Bless you, sweet friends and your handsome baby boy. Love you guys.